Eye surgery can be performed for a variety of different reasons. If you are unlucky enough to get something stuck in your eye, for example, that needs to be surgically removed, you would need eye surgery. Eye surgery is also often performed to prevent blindness or to remove cataracts or for a variety of reasons caused by such illnesses as diabetes. By far the most well-known procedure, however, is laser eye surgery. This type of surgery is a cosmetic procedure that eliminates the need for glasses or contact lenses, restoring and enhancing vision to 20-20. Many people are now opting for this type of surgery, as it is well-known, safe and very fast to complete. Moorfields is an eye hospital that specialises in clinical care, research, teaching and education. They mainly treat NHS patients that have complex eye problems that cannot be resolved in other clinics around the country. Moorfields also run a telephone helpline. This is manned by specially trained nurses who are fully equipped to deal with ophthalmic related queries and problems. As treatment is mainly for NHS patients, costs of procedures will be covered by the NHS or by any private health care insurance you may have. Each location offers different types of treatment, so ensure you are fully informed of where you will be going. 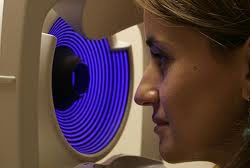 Moorfields eye surgery offers specialised care for a range of eye health care issues. You can be sure to be in safe hands to resolve any problems you have in your eyes. Their staff is fully trained and registered. Furthermore, Moorfields makes a considerable investment in training and educating staff and students, the optometrists of the future. They cover the full range of eye health care issues, including many problems that cannot be treated in any other eye hospital in the UK. This should give you the peace of mind that you are truly dealing with the best of the best!